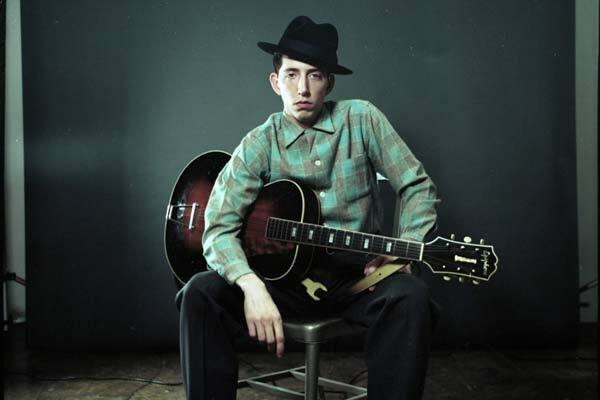 Pokey LaFarge plays NYC’s Bowery Ballroom on Tuesday. Disregard your meteorologists, gregorian calendars, astrologists and J. Crew catalogs. Any self-respecting Brooklynite will tell you that summer officially begins when you’re sitting in the grassy knoll near the Prospect Park Bandshell taking in the season’s inaugural Celebrate Brooklyn concert. And praise the Lord, Patty Griffin kicks us off on Wednesday … as in, THIS Wednesday. So, happy summer (you may start “fangirling” here). Also of note is Pokey LaFarge, and some other fellas including Blind Boy Paxton, playing Bowery Ballroom tonight (Tuesday). Check out some tunes below to see if you dig his old time, ragamuffin, washboard-playin’ feel … and head to his site for a listen to his most recent work, produced by Old Crow Medicine Show’s Ketch Secor and put out by Jack White’s Third Man Records.